Chelsea moved to the brink of the Premier League title as they cruised to a comfortable victory against Liverpool at Anfield. Carlo Ancelotti's side must beat Wigan at home on the final day of the season to guarantee the crown, following Manchester United's later 1-0 win at Sunderland. After a slow start at Anfield, they were put on the path towards the title by Liverpool captain Steven Gerrard, who gifted Didier Drogba the opening goal after 33 minutes with a dreadful backpass that left the striker with an easy job of scoring in front of The Kop. The goal, and the manner in which it was conceded, ended Liverpool's fleeting resistance and Chelsea cantered to victory. Frank Lampard added the second from Nicolas Anelka's cross nine minutes after the interval, with only Liverpool goalkeeper Pepe Reina preventing a more emphatic victory margin. Much had been made of the potentially unpalatable prospect - for Liverpool fans at least - of a victory for their team opening the door for United to eclipse the Anfield club's tally of 18 titles. 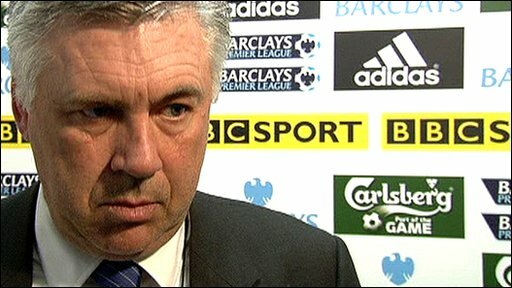 But suggestions that Rafael Benitez's side would stand aside to avoid this eventuality proved incorrect. Liverpool were not betrayed by a lack of effort, it was a lack of energy after playing through 120 minutes against Atletico Madrid on Thursday to no avail that was part of their downfall. And more crucially, in a condemnation of a managerial reign that may well be coming to a close, it was a lack of quality and squad strength assembled by Benitez that was brutally exposed by Chelsea. As Chelsea ruthlessly closed in on the points, Liverpool saw their last faint hopes of Champions League football extinguished with one game left of a season that started with so much optimism but is ending awash with uncertainty surrounding the future of Benitez, and the ownership of the club. Benitez joined Liverpool's squad and their families as they made their way around Anfield as a "thank you" to their supporters after the final whistle - but the response to the manager was relatively muted and there is a growing sense that this is likely to turn out to be his final game at Anfield in charge after a six-year reign. In contrast to Liverpool's despair, Chelsea know the title is almost in their grasp - with the possibility of clinching an historic double with the FA Cup final against Portsmouth still to come. 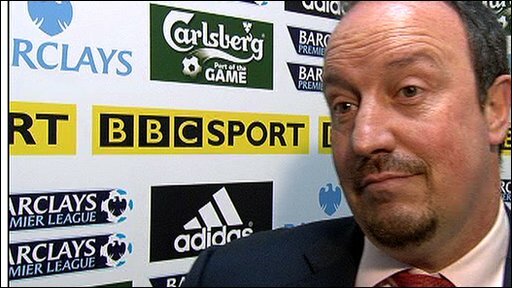 Benitez resisted the temptation to make wholesale changes after Liverpool's Europa League exit. Injured Glen Johnson was replaced by Sotirios Kyrgiakos, while Maxi Rodriguez, ineligible against Atletico, came in for Ryan Babel. Lampard was just off target from long-range inside the first minute, but Liverpool emerged as the better side in what was admittedly a desperately mediocre opening half hour. Alberto Aquilani came closest in that spell with a drive from outside the penalty area that glanced off the bar with Chelsea keeper Petr Cech beaten. As the opening half threatened to drift aimlessly to its conclusion, a shocking error from Gerrard presented Chelsea with a lead their lacklustre efforts barely deserved. Under no pressure, Liverpool's captain sent a backpass straight to Drogba, who could barely believe his luck as he rounded Reina to score in an unguarded net. Chelsea believed they should have had the opportunity to double their advantage in the dying moments of the half when Salomon Kalou fell as he raced into the box accompanied by Lucas. Referee Alan Wiley appeared to put the whistle his lips in readiness to award a penalty, but then waved away Chelsea's claims. Ancelotti's side started with real purpose after the break, with Anelka somehow failing to convert Kalou's cross from almost on the goalline - but they did not have to wait long for the goal their fans clearly believed clinched the title. Anelka made amends for his earlier miss by beating Liverpool's attempts to play the offside trap before crossing for Lampard to slide in a simple finish. The fight visibly drained out of Liverpool, who had to replace the injured Jamie Carragher with Daniel Ayala, and Reina had to produce an outstanding save low to his left to turn away Florent Malouda's volley. Reina was keeping the score within respectable proportions for a Liverpool side who had barely raised a gallop after Drogba's goal, and he was forced to save twice from Anelka in the space of seconds as Chelsea went in for the kill. All that was left was for Chelsea to play out time without any mishaps - which they were able to do without alarm as they moved to the brink of reclaiming the Premier League that they last won in 2006. 90:00+3:29 The final whistle is blown by the referee. 90:00+1:17 Substitution Joe Cole replaces Nicolas Anelka. 90:00+0:47 Dirk Kuyt takes a shot. Save by Petr Cech. 90:00+0:01 Javier Mascherano decides to take the corner short. A cross is delivered by Javier Mascherano, Ashley Cole makes a clearance. Steven Gerrard takes the outswinging corner, Branislav Ivanovic manages to make a clearance. 89:16 The ball is sent over by Steven Gerrard, clearance by Branislav Ivanovic. 89:00 Short corner worked by Steven Gerrard. 86:49 Ashley Cole restarts play with the free kick. 86:49 Substitution Yuri Zhirkov on for Salomon Kalou. 86:49 Booking Javier Mascherano receives a yellow card for unsporting behaviour. 86:42 Foul by Javier Mascherano on Florent Malouda, free kick awarded. 85:51 Michael Ballack sends in a cross, clearance by Daniel Agger. 85:25 Short corner taken by Salomon Kalou. 84:03 The ball is swung over by Daniel Agger, clearance made by Alex. 83:27 Corner taken by Steven Gerrard from the right by-line played to the near post, Frank Lampard manages to make a clearance. 82:04 Daniel Agger has an effort at goal from outside the box which goes wide right of the goal. 81:31 Corner taken right-footed by Frank Lampard from the right by-line, clearance made by Dirk Kuyt. 80:45 Nicolas Anelka takes a shot. Save by Jose Reina. Didier Drogba takes a shot. Save made by Jose Reina. 77:42 Leiva Lucas gives away a free kick for an unfair challenge on Didier Drogba. Direct effort from the free kick comes in from Michael Ballack, save by Jose Reina. Correction - 76:07 Substitution David Ngog comes on in place of Alberto Aquilani. 76:07 Substitution Javier Mascherano goes off and David Ngog comes on. 75:42 The ball is swung over by Salomon Kalou, Jose Reina makes a save. 73:06 John Terry is adjudged to have handled the ball. Free kick taken by Daniel Agger. 71:57 Steven Gerrard takes the outswinging corner, Didier Drogba manages to make a clearance. 70:31 Didier Drogba gives away a free kick for an unfair challenge on Javier Mascherano. Free kick taken by Yossi Benayoun. 69:25 Javier Mascherano sends in a cross, save by Petr Cech. 69:07 The ball is delivered by Ryan Babel, Alex manages to make a clearance. 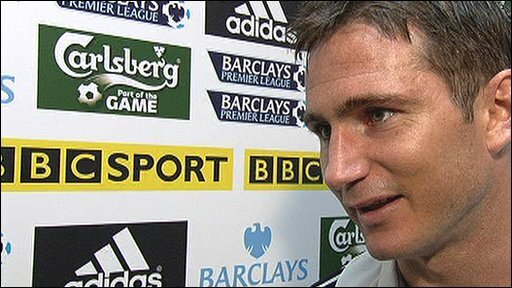 66:03 Outswinging corner taken by Frank Lampard, Florent Malouda takes a shot. Save by Jose Reina. Nicolas Anelka is flagged offside by the assistant referee. Steven Gerrard takes the indirect free kick. Michael Ballack concedes a free kick for a foul on Alberto Aquilani. Steven Gerrard takes the free kick. 65:45 Florent Malouda produces a cross, Nicolas Anelka takes a shot. Save made by Jose Reina. 65:24 The ball is swung over by Javier Mascherano, clearance by John Terry. 63:15 The ball is delivered by Steven Gerrard, clearance made by Branislav Ivanovic. 62:55 Centre by Yossi Benayoun, Frank Lampard manages to make a clearance. 60:20 Corner taken by Frank Lampard played to the near post, Effort from deep inside the area by Michael Ballack misses to the right of the target. 59:46 The ball is crossed by Didier Drogba, Sotirios Kyrgiakos gets a block in. 59:33 The ball is delivered by Ashley Cole. 59:02 Steven Gerrard takes a inswinging corner from the left by-line to the near post, save made by Petr Cech. 58:34 Steven Gerrard takes a inswinging corner from the left by-line to the near post, Didier Drogba manages to make a clearance. 57:10 Leiva Lucas concedes a free kick for a foul on Didier Drogba. Ashley Cole takes the direct free kick. 56:38 Substitution Jamie Carragher goes off and Daniel Ayala comes on. 53:39 Assist on the goal came from Nicolas Anelka. 53:39 GOAL - Frank Lampard:Liverpool 0 - 2 Chelsea Frank Lampard finds the back of the net with a goal from close in low into the middle of the goal. Liverpool 0-2 Chelsea. 53:06 The ball is delivered by Salomon Kalou, Sotirios Kyrgiakos gets a block in. 52:34 The referee blows for offside. Michael Ballack restarts play with the free kick. 51:55 Florent Malouda takes a shot. Save made by Jose Reina. 50:33 Salomon Kalou delivers the ball. 49:15 Yossi Benayoun is adjudged to have handled the ball. 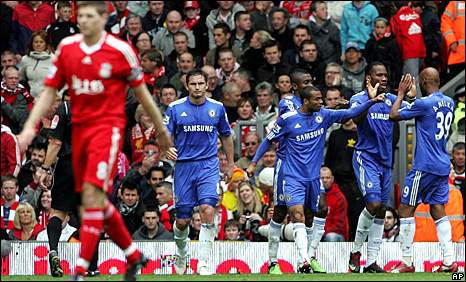 Didier Drogba fires a strike on goal direct from the free kick. Alex takes a shot. Blocked by Javier Mascherano. 49:05 The ball is delivered by Ashley Cole, clearance made by Sotirios Kyrgiakos. 46:09 Centre by Ryan Babel, clearance by Alex. 45:00+2:21 The referee calls an end to the first half. 45:00+1:24 Ryan Babel concedes a free kick for a foul on Ashley Cole. Petr Cech takes the direct free kick. 45:00+0:47 The ball is delivered by Ryan Babel, clearance by Frank Lampard. 43:39 Free kick awarded for a foul by Florent Malouda on Javier Mascherano. Jose Reina takes the free kick. 41:16 Jose Reina takes the indirect free kick. 41:16 Substitution Ryan Babel is brought on as a substitute for Rodriguez Maxi. 41:16 Didier Drogba is caught offside. 40:40 Unfair challenge on Salomon Kalou by Javier Mascherano results in a free kick. Frank Lampard crosses the ball from the free kick right-footed from left wing, Sotirios Kyrgiakos makes a clearance. 39:31 Jamie Carragher restarts play with the free kick. 39:31 Booking Michael Ballack is cautioned by the ref for unsporting behaviour. 39:21 Michael Ballack concedes a free kick for a foul on Steven Gerrard. 38:14 The ball is crossed by Yossi Benayoun, Alex makes a clearance. 37:49 Outswinging corner taken right-footed by Frank Lampard, Yossi Benayoun manages to make a clearance. 36:17 Michael Ballack gives away a free kick for an unfair challenge on Alberto Aquilani. Direct free kick taken by Leiva Lucas. 35:57 Frank Lampard has an effort at goal from just outside the box which goes wide of the right-hand post. 34:37 Unfair challenge on Daniel Agger by Michael Ballack results in a free kick. Free kick crossed right-footed by Steven Gerrard from left wing, Petr Cech makes a save. 32:48 GOAL - Didier Drogba:Liverpool 0 - 1 Chelsea Didier Drogba finds the net with a goal from inside the penalty area to the bottom right corner of the goal. Liverpool 0-1 Chelsea. 32:14 The ball is swung over by Steven Gerrard. 27:01 Leiva Lucas produces a right-footed shot from outside the penalty box and misses right. 25:53 Jose Reina takes the free kick. 25:53 Booking Florent Malouda receives a yellow card. 25:45 Free kick awarded for an unfair challenge on Javier Mascherano by Florent Malouda. 24:57 Yossi Benayoun has a shot on goal from outside the box which misses right. 23:27 Foul by Javier Mascherano on Ashley Cole, free kick awarded. Frank Lampard crosses the ball from the free kick right-footed from left wing, save by Jose Reina. 22:23 Leiva Lucas concedes a free kick for a foul on Nicolas Anelka. Free kick taken by Florent Malouda. 22:18 Javier Mascherano delivers the ball, Frank Lampard makes a clearance. 20:47 The assistant referee flags for offside against Nicolas Anelka. Jose Reina takes the free kick. 19:45 Dirk Kuyt is caught offside. Free kick taken by Michael Ballack. 18:26 The ball is swung over by Javier Mascherano. 16:41 The ball is swung over by Steven Gerrard, save by Petr Cech. 14:16 The referee blows for offside against Didier Drogba. Free kick taken by Jose Reina. 12:23 The ball is delivered by Javier Mascherano, clearance by Michael Ballack. 11:32 The ball is delivered by Branislav Ivanovic. 10:49 Leiva Lucas is penalised for handball and concedes a free kick. Frank Lampard restarts play with the free kick. 10:02 Effort by Alberto Aquilani from a long way out goes over the crossbar. 8:49 Nicolas Anelka takes a shot. Jose Reina makes a save. 6:21 Florent Malouda produces a left-footed shot from outside the penalty box and misses right. 2:47 Corner taken by Steven Gerrard, clearance by Florent Malouda. 2:24 Javier Mascherano takes a shot. Ashley Cole gets a block in. 1:56 Rodriguez Maxi takes a shot. Blocked by John Terry. Outswinging corner taken right-footed by Steven Gerrard played to the near post, clearance by Frank Lampard. 0:38 Frank Lampard produces a right-footed shot from long range which goes wide right of the goal.